Most popular yet highly functional. 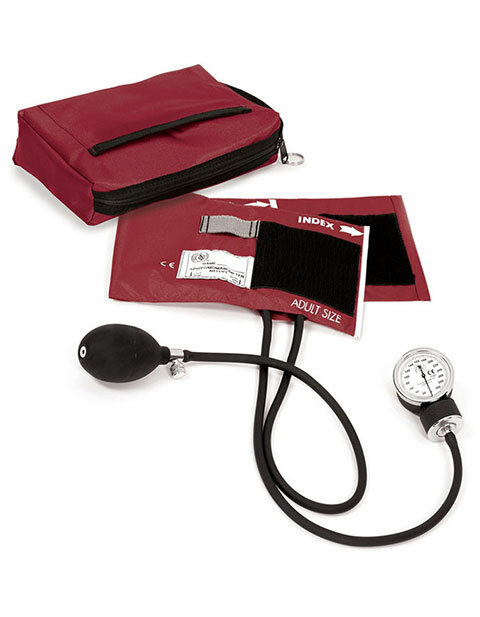 This aneroid sphygmomanometer model (S82/82), the 882 includes an extra large 6x9 color-matched nylon carry case. A portion of the sale of the Hope Pink Ribbons print is donated to the American Cancer Society. This aneroid sphygmomanometer features nylon cuff, index and range markings with artery indicator mark. Owner ID label, gauge holder, standard inflation bulb and air release valve is also provided. It is latex free and has Lifetime Calibration Warranty. Cuff Range: 10-16 inches.